Some spa with your wine? Extending their spa offerings for the 2013 season, Sani Resort in Greece is now offering a selection of new wine inspired treatments for spa dwellers. Carefully prepared by bespoke beauty brand Anne Semonin, the new Oeneotherapy treatments have been inspired by the red grapes in French red wine, famed for their anti-oxidant elements. The new treatments are available at all of Sani Resort’s three spas, a little piece of Grecian paradise on the Halkidiki peninsula of the Aegean Coast. Oenotherapy (or healing with wine) has been the secret of wine producing regions for thousands of years. No anti-oxidant is stronger than the polyphenols contained in the seeds, skin and leaves of the humble red grape! Containing 20 times more anti-oxidants than Vitamin C and 50 times more than Vitamin E, these polyphenol-compounds in the red grape prevent the rapid decay of cells, energising and detoxifying the skin, ensuring a full body pampering experience. The new Anne Semonin Oenotherapy Collection is available at My Spa (Sani Beach Hotel), The Club Spa (Sani Beach Club) and The Spa Suite (Porto Sani Village) all located in the 1000 acre eco-enclave of Sani Resort. This ultimate ritual starts with a soothing footbath with grape seeds and essential oils, enjoyed with a glass of refreshing vitamin packed grape juice in hand. The treatment continues with a deep revitalising body exfoliation and nurturing anti-ageing body wrap, concluding with a relaxing and soothing pumice massage. As a final touch, gusts will choose between a glass of fresh grape juice, or wine, to end the Oenotherapy wine experience. 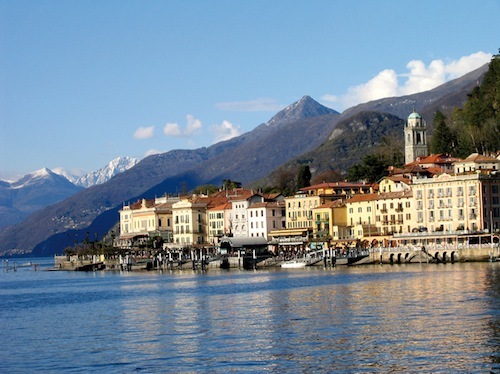 (2h25; £235) *Not available at Sani Beach Hotel’s spa. Sani Resort’s Spa Director Spiros Gaitanidis commented: “We are thrilled to be the first Spas in Greece to introduce the new Anne Semonin Oenotherapy Rituals Collection. Nature has always generously provided us with the best anti-oxidant protection and our new treatments are designed to make these benefits available to everyone, by combining the highest concentration of anti-oxidant elements with the luxurious pampering our bodies need”. With four five star hotels to choose from at Sani Resort, guests are welcome to enjoy any of the spas they choose. A family favourite holiday spot, whilst parents are getting some ‘me time’ in the spa, children can enjoy the new football academy, extensive children’s club or 7km of white sand beach. 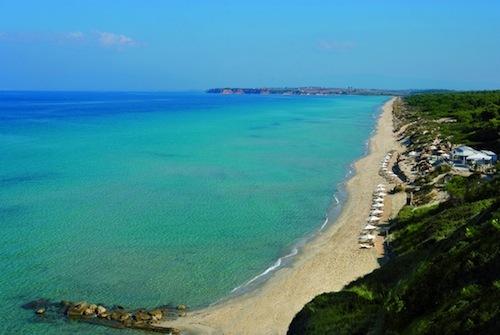 Sani Resort offers nightly rates in Sani Beach Hotel from €126 per room per night half board.